Staff Sgt. 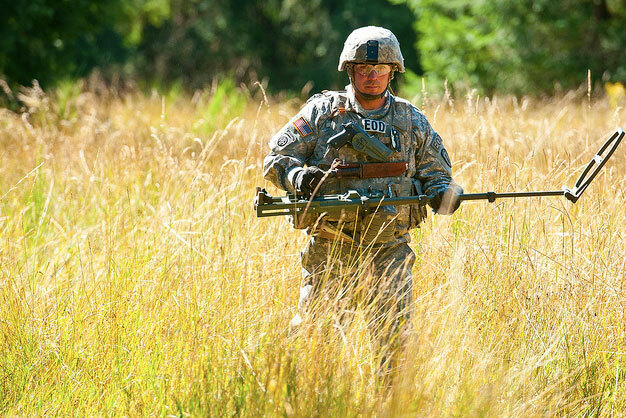 Clayton Clute, a team leader with the 710th Explosives Ordnance Disposal Company on Joint Base Lewis-McChord, Wash., searches for simulated pressure plate mines buried in an overgrown field on JBLM Sept. 4 during a weeklong training to prepare the company for a deployment to Afghanistan. U.S. Army photo by Sgt. Christopher Gaylord.